It hasn't been this cold in a very long time! The past month has sported an over-burdened calendar with entries to remind us to order gifts, grocery lists, greeting cards, family holiday plans and such. 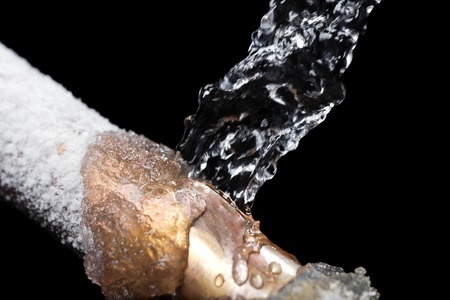 A water line that froze during very low temperatures and then burst when temperatures warmed up can causes a mess! By taking a stroll through your house and inspecting hidden piping you could minimize potential leaks, which would save you from ruined property, a big cleanup and money.